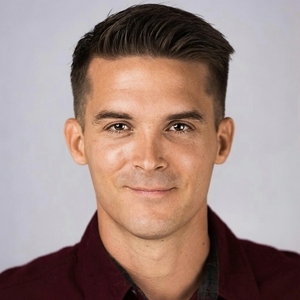 Recovery Coach Erik Frederickson shares his years of recovery experience through priceless insights. He is passionate about helping you break free and stay free addiction. You’ll get real and raw stories that will shock you and inspire you. In this episode Recovery Coach Erik Frederickson breaks down the HUGE difference between expectation and expectancy. In this episode Recovery Coach Erik Frederickson shares a talk he recorded where he spoke to police officers and fire fighters. He shares hope and breaks a stigma surrounding addiction. Enjoy! In this episode we emphasize the importance of forgiveness and share some practical and powerful examples of how freedom rushed into two individuals lives after they chose to forgive. In this episode our friend Shanda Miller shares her story that has to be heard to be believed. She shares how she overcame unbelievable circumstances and entered into an amazing and fulfilling life with God. Prepare to laugh, cry, and be filled with HOPE. After you listen to this episode you will have more clarity on why getting help reveals your strength, not your weakness. Are your actions doing the talking? 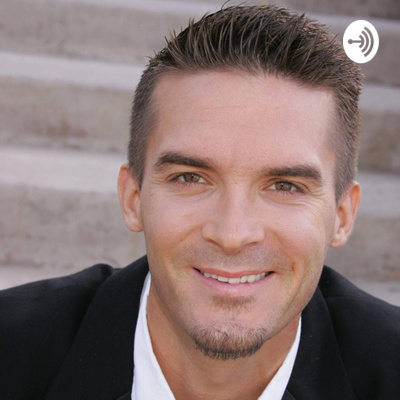 In this episode Recovery Coach Erik Fredrickson shares his heart and calls people in recovery up to a higher level and to change the conversation surrounding recovery. Is God in control, or is God in charge? In this episode we challenge the very common misunderstanding of God being in control of everything. Is God in control, or is God in charge? A recovery story of hearing Gods voice. What does hearing Gods voice and loving the world around us look like? Here is a simple story about hearing Gods voice and miraculous healing taking place because of hearing the loving voice of God. In this episode my friend Heather Rhea shares her powerful story of redemption and overcoming. You are sure to draw endless hope and strength from listening to the story of her journey from addiction and personal struggles, to freedom and purpose. Enjoy! We are the fastest growing Recovery Podcast out and we are exited about that. We also need your help! Send us your feedback at @recovering_reality on the 2 simple questions asked in this 5min podcast. Thank you guys! You rock ! In this episode you’ll be given a wonderful upgrade in your perspective towards resourcefulness and breakthrough, not only for you but for those around you. The Treasure in the Trash. In this episode an ancient Japanese custom is dissected and it’s correlation for healing in our present day and lives. Your brokenness is just an opportunity for God to bring amazing healing and wholeness. In this episode some “gold nuggets” are shared about how to step into your destiny and strike gold in your personal life. In this episode a story is shared about a powerful miracle that God did for a young man, and some insights about living unoffended. In this episode you will draw hope from the story of the life C.J. Walker. You, yes you, were born to be victorious! In this episode we break down the power of your words and how it ties into recovery. In this episode a story is shared about a powerful miracle that God did for someone in early recovery that changed their life. In this episode Erik breaks down the importance of healthy thinking, and how your thinking steers your actions. Listen for simple analogies and tips for addressing and changing bad thinking. Abuse, addiction, and left to be a single mom struggling with heavy addiction...until God changed everything. She now goes into jails, rehabs, and back alleys and helps people step into the beautiful life that is available for them. In this episode we go over a little about emotional sobriety and cultivating our ability to respond, responsibility. In this episode I had the privilege of interviewing Joe Turner. Joe was born into a biker gang, was dealing drugs in his early teens, and endured years of the dark reality of addiction and street life. He now lives a powerful life of success and recovery! Anyone is sure to draw hope from this powerful interview. In this episode we go over some practical viewpoints surrounding prayer and meditation. I had the privilege of interviewing my friend Ryan Wilson. Roughly 2 decades of addiction, pronounced dead twice from overdose, and endless troubles. He now lives a beautiful life of transformation. Enjoy, and share with someone you know that may need some hope. In this episode we dig into age old saying, “time heals all wounds.” True, or false? In this episode we process a healthy perspective on “One Day At A Time” while learning to be in charge of your feelings. Recovery Coach Erik Frederickson shares a story about how he learned to be understanding, rather then judgmental. He shares some practical and powerful insights that can be translated into your own recovery. Recovery Coach Erik Frederickson shares a story of a life changing moment where God did for him what he couldn’t do for himself. Erik shares a bit of his story and some mindsets of the addicts. He also shares a bit on Ohio’s Issue 1, which did not pass on the November 2018 ballot.